He’s too short. He’s too cocky. He acts like a jerk. He’s a too-short jerk. That’s the narrative about Oklahoma quarterback and Heisman Trophy winner Baker Mayfield. As the draft season slowly moves toward next Thursday’s first round, the analysis gets deeper and so do the negatives. But how much is it true? How much of it appears true because everyone is saying it? 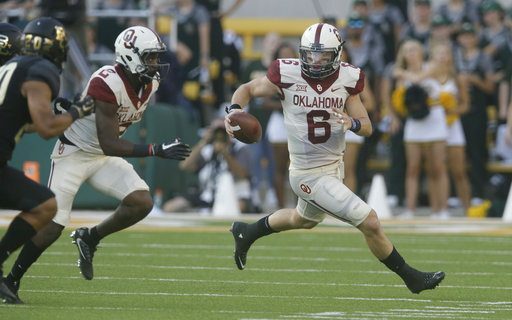 The facts are that Mayfield is only six-foot-one inches tall, about three inches below optimum height for an NFL QB. He can come across as overconfident, or even arrogant. The cut through the narrative, we went to someone who knows Mayfield. Chris Plank is the sideline reporter on the Oklahoma Sooners Radio Network. He has heard all the experts rip on Mayfield all of the above reasons. Chris admits he’s a Baker homer. But he has also seen every snap he’s taken at Oklahoma. He has interviewed Mayfield before and after every game. “This guy loves football. This guy loves making plays. He loves trying to rally a crew and being the center of a team. Everything you want in a quarterback,” says Chris. In the spirit of Jim Kelly, Bills fans have come to love and accept a cocky, brash quarterback. Chris says that’s what they’d be getting in Mayfield. A lot of the pre-draft criticism comes from an Oklahoma game against Kansas, when Mayfield was egged on by the Jayhawks, resulting in the shot of Mayfield grabbing his crotch. Yes, Mayfield is closer to Drew Brees and Russell Wilson in height. But Chris knows that it never effected Baker’s ability to play at a high level in a high level conference. 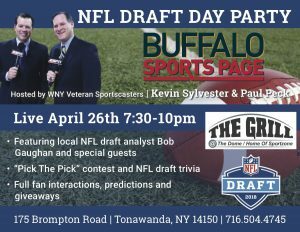 Chris is friends, and has hosted a radio show, with former Bills offensive lineman Jerry Ostroski. So he understands what Buffalo wants in a quarterback. Maybe that should be the Baker Mayfield narrative for Bills fans.